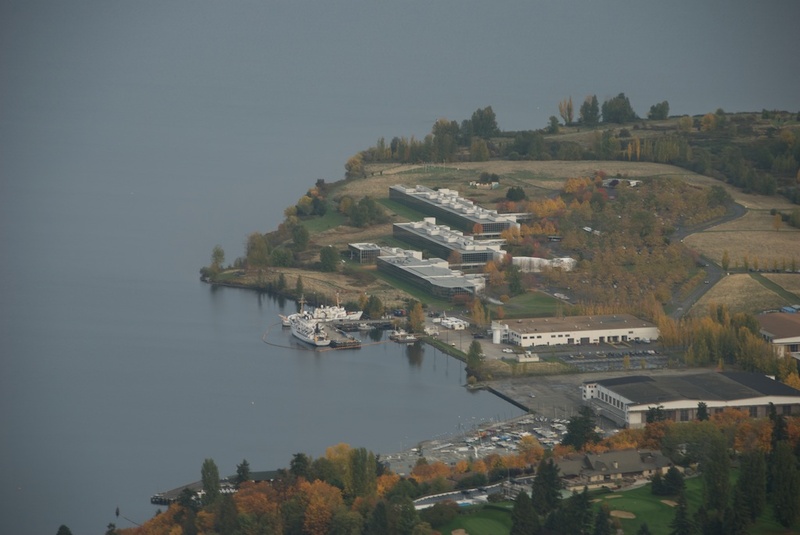 PMEL is located on NOAA's Western Regional Center about 30 minutes north of the Seattle-Tacoma International Airport, near the Montlake and University District neighborhoods and the University Village Shopping Center. Follow airport signs to "Freeways North". Take Route 518 to I-5 North to Seattle. Exit I-5 at NE 45th Street, exit 169. Turn right onto NE 45th St. Follow NE 45th St. east through the University District and past the University Village. The street eventually winds north and becomes Sand Point Way NE. Pass Magnuson Park. 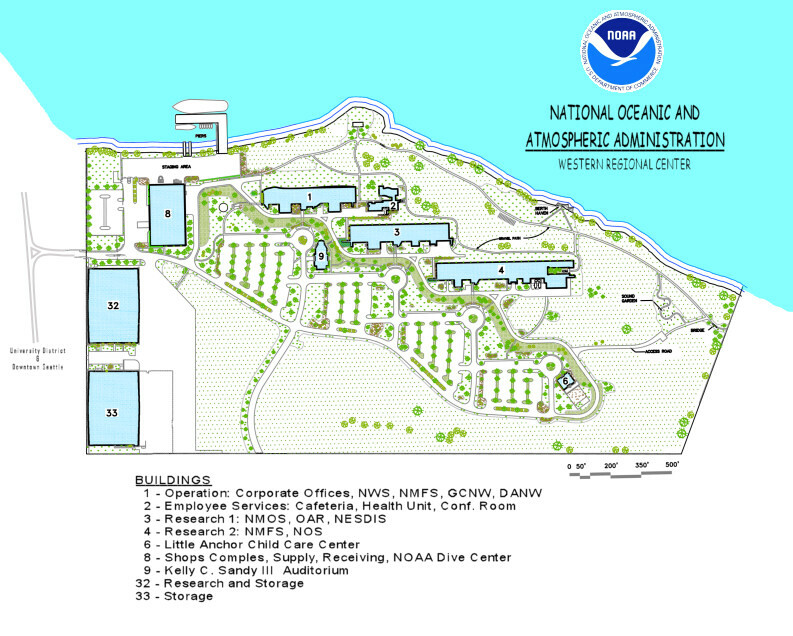 The entrance to the NOAA Western Regional Center (WRC) is just north of the park. Follow the signs to the guard shack. You will need to show a government issue ID to the guards. Parking is free. PMEL is located in Building 3 on the WRC Campus. Larger image.